Issued bi-monthly by Ravenspoint Press Ltd., each edition of Scottish Islands Explorer takes readers on an unforgettable journey through some of the nation’s most interesting and picturesque isles, from the northern reaches of the Shetlands to the westernmost Outer Hebrides. The new issue, for March/April 2012, features insightful articles on unique topics such as the snowy owls of the island of Fetlar, island photography, and personal experiences of islands like Skye and places like Crola. 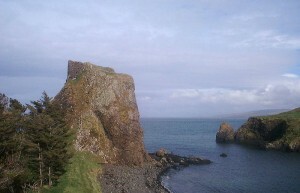 Visit the website for Scottish Islands Explorer (link) to discover more. I read on the Scottish Islands Explorer website that you took over the operation of the magazine in 2010, but were previously a contributor. How long have you been interested in islands, and what got you started? The magazine started in 2000; I came across it in 2003 and had occasional articles published; in 2007 the publication was sold to Jeremy Smith and I assisted him as a freelance in many aspects of its day-to-day operating; when he suddenly and unexpectedly died in 2010, I became its owner and editor. As a child I was taken on day-trips to the seaside resort of Weston-super-Mare on the Bristol Channel. The islands of Steep Holm and Flat Holm featured on the seascape and I took an immediate interest in them. My parents took me to Scotland in the early 1950s and I was smitten by the country. 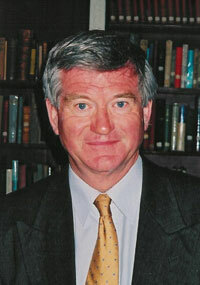 In 1985 when travelling close to Rannoch Moor, I met Andrew Manwell, an authority on the Scottish islands. His compelling descriptions made me resolve to go and, the following year, went to the Outer Hebrides with my younger son, Tom. The Western and Northern Isles featured in family holidays from then on. Scotland’s islands have a fascinating blend of history and natural beauty – which islands do you feel balance both of these elements? Many people say that Arran is the quintessential island, a sort of ‘Scotland in miniature’. My view is that Mull combines both wild and cultivated land; a distinctive mountain and a fabulous long and varied coastline; a history that was forged when travelling by sea was standard and this island was a natural hub. The Northern Isles have similar blends. Westray, in Orkney, is called ‘The Queen of the Isles’ and does have a combination of outstanding headlands, fine beaches and an infrastructure of ferry terminals and an airport. Rousay, also in the Orkney group, has been inhabited for countless generations and their dwellings have been remarkably preserved for all to see, free of charge. 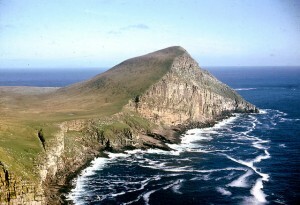 Foula, in the Shetland group, has the distinction of currently being the most isolated permanently-settled island in the UK. Its history is remarkable and it was the last place where Norn, an extinct North Germanic language, was spoken, reflecting its many Norse connections. It has the second highest sea-cliffs in Britain (just lower than those of St Kilda) and a varied wildlife. 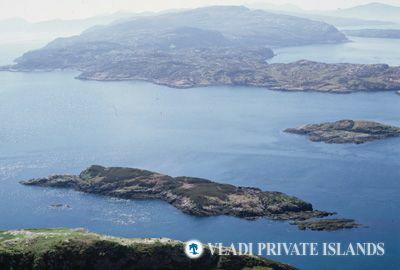 In many countries, different regions have very distinct personalities – in the case of Scotland, how would you characterize the three island areas of the Outer Hebrides, Skye and Argyll? There are two major factors here. One is the extent of the Gaedhealtachd or the heartland of Gaelic culture and speaking. The other is access. The Outer Hebrides (Lewis, Harris, North Uist, Benbecula, South Uist and Barra) have the highest number of Gaelic speakers and this provides a distinct culture. Getting there involves a ferry journey measured in hours or a flight by aircraft. Skye has become bridged directly to the mainland and this has made a difference. The population may have stabilized, but incomers have settled. They may have brought new attitudes, interests and skills, but are unable, in the main, to contribute to the Gaelic traditions. There has long been a tourist element among visitors and this has increased as vehicles come and go without tolls. The Argyll islands, including Mull, Rum, Eigg, Muck, Canna, Islay, Jura, Tiree, Coll, Islay, Jura and Colonsay, involve ferry journeys. Some are measured in minutes rather than hours. The name ‘Argyll’ originates from Airer Goidel, the border region of the Gaels, and its off-shore parts were known as ‘the islands of the foreigners’ when they came under Norse rule in the 9th -12th Centuries. In the 1930s & 40s a term was devised to describe speaking English with an American tone and vocabulary. It was called Mid-Atlantic English or the Transatlantic Accent. References are now made to ‘Mid-Minch Gaelic’ in order to show how uniformity in that language has replaced the various distinctive dialects of Lewis, Harris, Barra, Skye and of places within them. It is suggested that there is only one speaker of the Gaelic Argyll dialect left, although the language itself is by no means extinct in these parts. It is a reflection of changes brought about by the declining influence of the Presbyterian churches within these localities and the more widespread influence of the Gaelic television and radio services. Conservation of sensitive island eco-systems has been prevalent in the news lately – how is Scotland doing in terms of protecting its island environments? There are conflicting interests here. The energy-generating systems involving wind, wave, tidal and geo-thermal methods are seen by many to be economically sound and the provider of employment. However, they often incur widespread construction and consequent, threatening destruction of natural habitats. People are increasingly aware that protection is required and developments need to be monitored, with legislation in place to prevent the obliteration of what has been enshrined and cherished for generations.